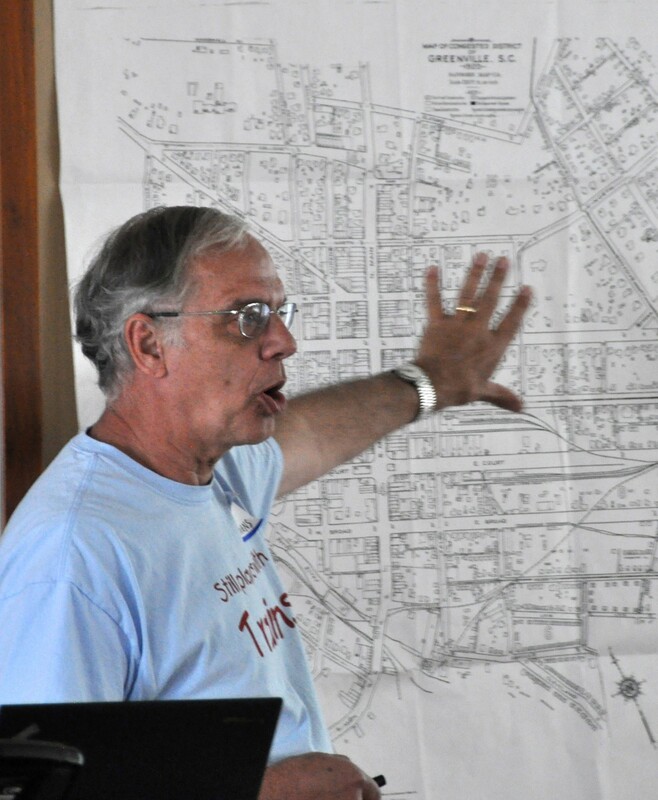 On March 15, 2014, Marv Havens gave us a photo and map tour of railroad history in and around Greenville. He covered long ago abandoned 2 foot gauge tracks on Greenville’s east side to “river junction” near downtown to the newly completed “inland port” intermodal container facility in Greer. We expect to see a surge in rail-fan activity around here as the spring weather arrives!